Private Labels Battle Big Brand Names – there is a growing tendency for supermarkets to sell private label brands over accepted brand names. Woolworths recent stoush with Coca-Cola over refusing to sell its no sugar brand and some of the Franklins water range is just one example. Aldi does well selling its unknown house brands and others are following suit. This has been described as shopping for locations rather than the old way of shopping for brands. Customers are more likely to accept no-name products if they are happy with the buying location and the overall experience it provides, especially if that includes cheaper prices. 1. Retail Food Group continues international expansion and introduces Donut King to Scandinavia. 2. Alibaba opens cashierless café in Hangzhou. 3. Super Retail Group to discontinue Amart Sports branding. 4. Lululemon fined by ACCC for violating customer guarantee rights. 5. Rhodes & Beckett and Herringbone sold to Hong Kong equity company. 6. Michael Kors buys Jimmy Choo footwear brand. 7. NSW academic says card customers are likely to spend more than cash customers. 8. Amazon leases ex-Bunnings Distribution centre in Dandenong South. 9. Surfstitch looks to sell assets to finance litigation costs. 10. Coles says higher power costs a disaster for supermarket spending. 11. Amazon suffers profit drop but pace of expansion continues. Moving Queen St. Traders – apparently letters have gone out to traders on Queen St (those trading on the roadway) advising that they will be moved from their current locations to allow for the construction of the New Pavilion in October. Changed Plans For Queen St. – a trader has heard that the new pavilion on Queen St. will now start at Therry St., and the current toilet block will stay, but be refurbished. 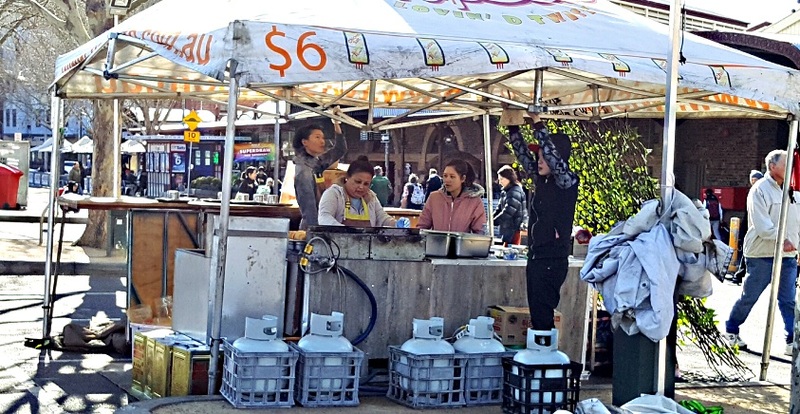 Night Market a Winner – a day market/night market trader has told us that without the night market they would not be able to survive at QVM. 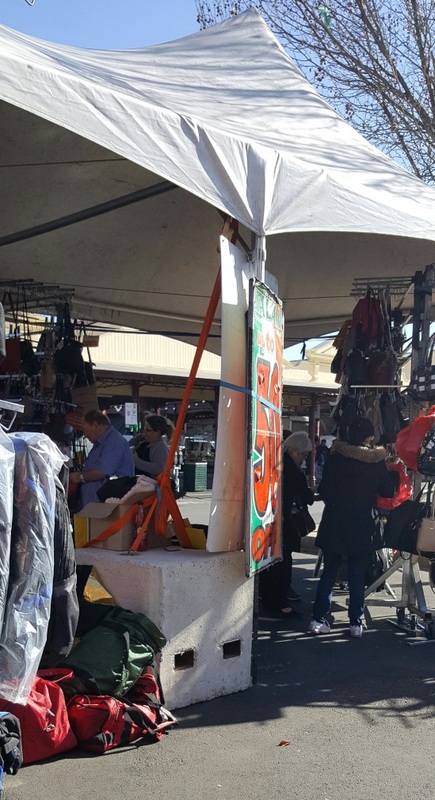 Catching A Thief – a customer noticed a young man pinching an item from a stall and alerted trader Michael Mallon who happened to be visiting the stall. Michael followed and challenged the thief but when the thief offered to hand the item back, Michael insisted he return to the stall and pay for it. A very apologetic thief did just that, and paid from a wallet full of cash. Michael’s gentle Irish persuasion worked a charm and could be a lesson for similar situations. Mark Scott’s Departure – the departure of our marketing manager has resulted in a clear sentiment from traders that it is time the musical chairs stopped and the Board introduced some stability to the management structure. It would seem that Mark was well liked and had done enough in his short stay to suggest the QVM Marketing team could produce some positive results for traders. Is Guru Pete Moonlighting On TV? One of our more popular market personalities is Cleaner, Guru Pete. Pete's features and love of food has traders wondering if the Guru is the guy in this Aldi commercial. Lose the beard and maybe they have something. 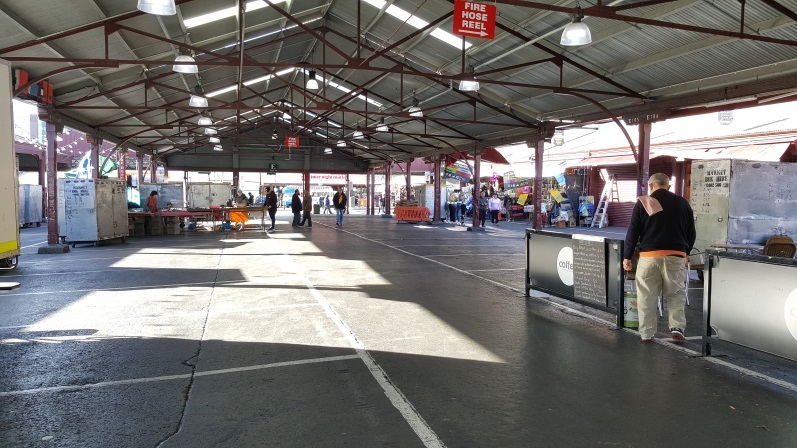 QVM Renewal includes provision for weather protection in our open-air market but we thought we might remind people of why that provision is important. These photos were taken on a generally sunny but particularly windy Saturday trading day with gusts to more than 100kmh. Customers were hard to find at least in open areas. This is looking east towards the Donut Van in E Shed. By contrast covered areas of the market were well populated leading at least one trader to say that now he understood what a smaller market could look like. The weather had generally centralised the top end and pushed crowds into protected sheds like J,K,L. 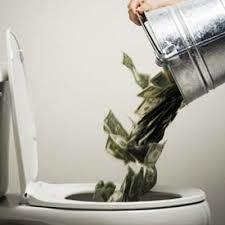 Too Much Change At QVM? We are champions of change at Victraders.com but do you ever get the feeling that it is all a little too much? The retail industry is changing rapidly, and global retailers have swapped the old annual planning regime to change on demand as we work through a retail revolution. Organisational structures are not immune. Both Malcolm McCullough and Mark Scott offered an entrepreneurial flair that gave traders some comfort. Their departure adds to the uncertainty that bedevils retailing right now. They will be missed. As trendy as change is, businesses need a sound base from which to work. Every business needs to find ingredients that provide solid anchors so that the things that unavoidably change can be addressed with some confidence. Traders need to have some surety for the future. The Board’s decision to embrace retailing experience in its management structure was welcomed by traders and provided one of those anchors. Let’s hope next week’s announcement of a management restructure will be solid enough to give us more than a fleeting period of stability and hope. In fact, good business demands that. 30/07/2017 16:04:32 Too much change at qvm "Interim CEO Paul Guerra is overseeing structural change currently at QVM. Whoever happens to be our new CEO will quite rightly alter the structure as they see best suits QVM. More musical chairs to follow." "Rightly" might include some stability for everyone's benefit. Thanks for your input - Ed. last 15 years it will be doomed. Can we give Frank Lowy or Solomen Lew a call to see if they are interested in the job? By the way, do we have a Retail Manager at the market?" There is something really uncomfortable about a redundancy, and Director of Customer Engagement, Mark Scott’s departure has many traders sad. It is not just because Mark was a nice guy, which he certainly was, but he had that entrepreneurial flair and can-do attitude that so many traders deem worthwhile at QVM. Mark didn’t mind challenging ideas and looking for opportunities which, at an organisation with a fairly meagre marketing budget, was always a challenge. He recognised early on that digital marketing was the way to go and set about understanding the intricacies of this new field of marketing endeavour. One of his legacies will be the opportunity for many traders to finally embrace modern social media. Establishing a social media presence was a huge mountain to climb for many traders, but all of a sudden it became a simple matter of contacting a member of the QVM marketing staff and soon you had a video on QVM Facebook with thousands of views from potential customers. For many traders that planted the seed - “I can do that.” One of our traders described the work done by the QVM Marketing Department on the upcoming Australian Made campaign as their “best ever”. One of the problems with praising a marketing person is that they have probably already done it themselves. It goes with the territory. In this often subjective field of management you need to claim successes wherever you can. Mark didn’t mind drawing a connection between his arrival and the successful turnaround of the night market and few would deny his significant contribution. No doubt there are many other contributions. 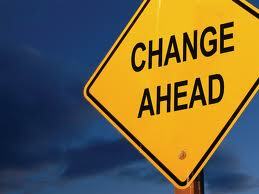 Unfortunately, change is a given in retailing right now, and an organisational restructure has claimed his role. Thank you Mark. We wish you all the best for the future. 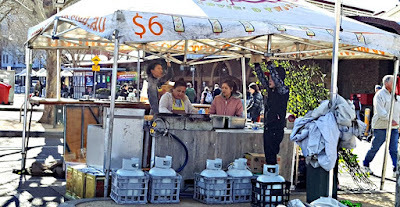 The success of the Winter Night market has caused many traders to ask how we apply that success to the day market. That desire is usually tempered by recognition that we are working with two completely different environments and different clientele. Yes they are both essentially shopping venues although one has more of an entertainment flavour and one gets the feeling that the success of general merchandise traders at the Winter Night Market is more as a by-product of an incredibly entertaining evening. If customers are loving the food, enjoying the entertainment, and entranced by the “buzz”, why wouldn’t they lash out on other purchases. The uniqueness of a Wednesday night city market is also a factor. 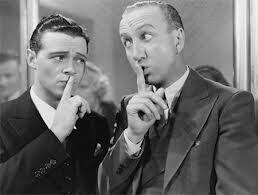 As one trader said this week, you only have to cast your mind back to the introduction of Sunday trading. We were the only game in town and the market rocked. Then of course there is the clientele. We are dealing with a younger customer at night who are probably more attuned to the social benefits of a mid week night out and more receptive to the social media marketing that accompanies the Night Market. Interestingly, we understand the Winter Night Market attracts an older clientele (25-35) than the Summer Night Market (20-25). Is that another key ingredient in the success of the Winter Night Market? The Night Market is carefully curated. Traders need to tick a lot of boxes including relevance to the target shopper, high standards of presentation and service, attuned to social media, and you certainly won’t see duplication at night. Are there lessons for the day market? Success at night certainly has lessons for the whole market. How we apply what has been learned at night to a different time, environment and customer group is the big question and it is one that all traders and management staff are battling with. There is of course no magic bullet as our heading suggest. This is a complex issue. The answers lay in there somewhere and few things are more deserving of critical analysis from everybody associated with QVM. Here is some more information on the application process for the Australian Made certification and how to be involved in the campaign. Food Traders: for more information on the Australian Government’s new mandatory country-of-origin labels, visit www.industry.gov.au/cool, www.foodlabels.industry.gov.au. Businesses should also visit www.business.gov.au/foodlabels. Once you have applied and have been certified, let us know by emailing your certification to marketing@qvm.com.au. You are then eligible to apply to have your first year of membership subsidised by 50% via the Queen Victoria Market Cooperative Marketing Program. Plus we will provide you with point of sale items to display at your shop or stall. · be included under the Australian Made category on the Queen Victoria Market website and the campaign. · Facebook, Twitter and Instagram handles. Businesses that are not listed on the website will not be included in the campaign. 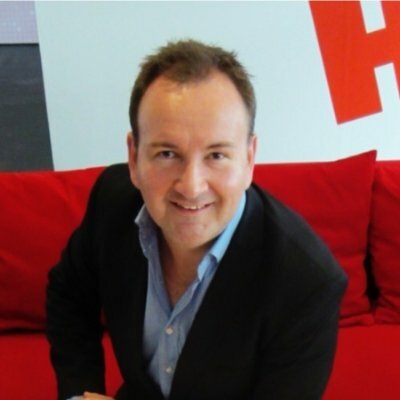 The Director of Customer Engagement, Mark Scott, has left QVM and his redundancy raises significant questions about the important function of retail marketing. It looks like we won't have to wait long to find out how things may be done in the future. Details of a new management organisation structure are to be released next week. Mark had already starting sending us down the road of social media and digital marketing with some pretty impressive social media viewing scores particularly on the Night Market content. 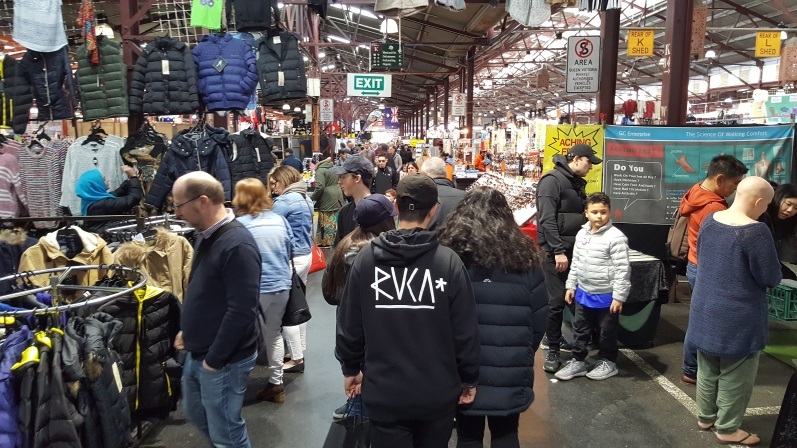 In fact at least some of the credit for the excellent crowd results at the Winter Night Market have been attributed to carefully positioned digital marketing. More generally, Mark had set up direct access to marketing staff and many traders have experienced their first exposure to the brand new world of social media particularly on Facebook. Finding out that the person/position responsible for marketing at QVM has been made redundant has understandably unsettled many traders. “Dismay” is the term used by one senior trader. We have been assured that this is not the end of marketing, just a more appropriate organisational structure to achieve today's marketing reality. That might sound like a bit of marketing hype. Let’s hope next week’s announcement makes perfectly clear sense to traders. The marketing Presentation planned for this Thursday 27th July at the Engagement Hub has been postponed to a date to be advised. 1. Big two supermarkets slash bread prices. 2. Adairs considering placing its range on Amazon. 3. Myer removes Topshop concessions from stores. 4. David Jones sales drop for first time under new owners. 5. Uniqlo reports strong third quarter. 6. Colette Paris to close as founder retires. 7. Analyst says Coles bread price drop not enough to poach Woolworths customers. 8. UK retailer Marks & Spencer continues full price model with lower sales but higher profit but food performance worries. 9. Woolworths and Coles to ban one-use bags. 10. Foot Locker launches online platform. 11. Luxury shoe brand, Jimmy Choo, up for sale. 12. Australia Post says Aussie online shopping up 11% this year. 13. Muir family sells off its Good Guys properties. 14. Hugo Boss opens Brisbane flagship store. 15. Myer says its “wanted brands” strategy will continue. 16. CBA says improved trend for retail and clothing sales in June. 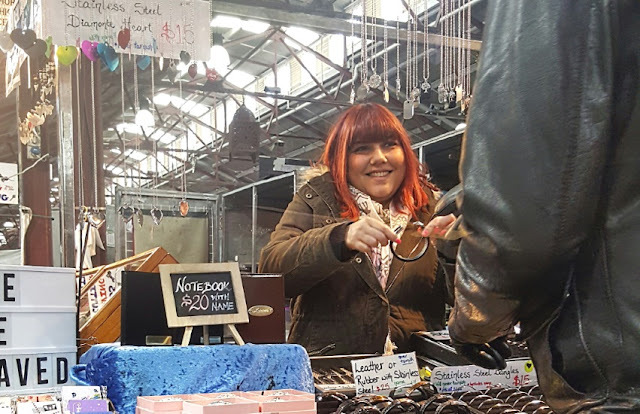 Gastrology recently experienced Queen Victoria Market's Ultimate Foodie Tour where we explored some of the best food the market has to offer. Business For Sale: Coffee and Sandwiches Queen Victoria Market. Trader Information Sessions Tick The Box – we have reports that Tuesday’s after market session with Chairman, Paul Guerra, was well attended and showed Paul in a more candid and reflective mood as he talked about his overseas experiences at markets and the difficulties and opportunities faced by everyone at QVM as we move to renewal. The Australian Made presentation on Thursday was equally well regarded for the opportunities it provided for Traders even those with just one or two Australian products in their range. This Thursday it will be the Marketing teams turn to talk about 2017 promotional opportunities and the new Co-operative Marketing program. Box Hire – apparently one trader with multiple stalls has returned all his boxes to his long term provider as he takes on a new provider. No doubt there are many aspects of traders operations that are under scrutiny as we battle tough times. Bird Stick Shelved – we reported in this column on 8th July that trader, Lana, had problems with birds pooping on her stock in J Shed. We are pleased to report that anti-bird spikes have been installed on at least some of the roosting spots above Lana’s stall and staff are monitoring the effect on the bird habits. Personal Details On Boxes – management have asked that trader details be clearly displayed on storage boxes to facilitate contact in the case of stall absence. At least one trader has expressed concern at misuse of his private trader number. One of our category managers has suggested that if a trader is concerned about someone else using their trader number they could leave that off the box but include their full trading name for identification purposes. The important thing is that staff are able to clearly identify box users at all times. Promotional Videos – one of our traders has described the new videos promoting Australian Made at our market as some of the best work by our marketing department in many years. The videos about individual traders are expected to be released soon and we look forward to showing them on Victraders. Adjusting To Change – our trader who refused to pay rent until a receipt was issued (Heard Under The Sheds 8/7/17) has since paid her rent. She was promised a receipt in the mail and when that didn’t arrive a copy was hand delivered to her stall by staff. The trader sent it back because it hadn’t been stamped “Paid” but otherwise this saga is over. Sometimes change takes a little longer. Summer Night Market Applications. – applications for the 2017/18 Summer Night Market have opened and a number of day traders are once again expected to throw their hat into the ring. The success of the Night Market has made it a very desirable opportunity for those hopeful of meeting the selection criteria. 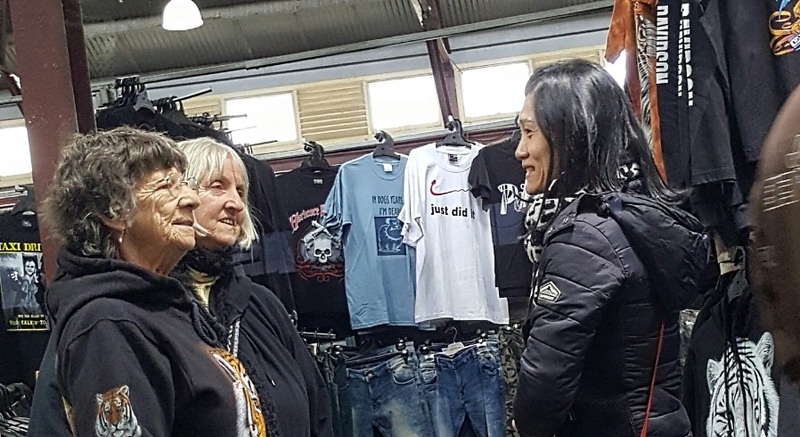 Nostalgia Takes Many Forms – a discussion between a couple of traders in J Shed about the Spring Rolls available at the Dim Sim shop in F Shed concluded that they were the best fast food since the Spring Rolls of the 1960’s. They used to be available at every Fish & Chips shop in Melbourne long before inferior Chiko Rolls came on the market. Now there is a debate in the making. What about Boreks and Bratwursts? Here are a couple more photos showing traders as they create that wonderful personal connection that can turn every customer engagement into a rewarding experience. Are Traders Throwing $500 Down The Drain? QVM has a co-operative marketing scheme that in the past has subsidised trader marketing expenditure by up to $500p.a. But many traders are not taking advantage of it, and that is a big surprise, particularly during tough times. The subsidy has been applied to all sorts of expenditure from business cards to carry bags and signage. There is even a suggestion now that it could be applied to costs of joining the Australian Made campaign which will be heavily promoted by QVM in coming months. The Marketing Department has developed a new Co-operative Marketing program that will be revealed at a presentation after the market on Thursday 27th July. Also for discussion at that presentation are details of the marketing promotions for the rest of 2017 and how to engage customers through digital marketing. QVM have been developing plenty of skill in this area over recent months and the advantages of low-cost promotion and marketing for traders deserve exploring. Be one of the first to take advantage of new marketing opportunities by attending the session after the market at the Engagement Hub this Thursday from 3:30. RSVP by clicking here or contacting your Category Manager. PLEASE NOTE: The marketing presentation planned for Thursday 27th July has been cancelled and will be re-scheduled..
As headwinds continue to dominate the retail sector key player, Myer’s, is struggling and its retail strategy is under review. Special sales events became an overused tool for Australian retailers particularly department stores. Myer was one of the drivers in discount sales as once a year and twice a year sales became “any excuse” sales and customers developed an expectation that you didn’t buy anything without a red sticker. Myers more recent strategy was to wean consumers off sales and concentrate on value brands, They invested a lot of money in the Sass & Bide and Topshop fashion brands with Topshop Australia recently calling in the administrators, and Sass & Bide struggling to meet brand expectations. Write downs on those two key components and the cost of implementing their new strategy is expected to impact heavily on their 2017 bottom line and Myer’s share price has tumbled as a result. 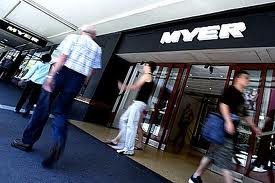 After trading at a high of $1.46 during the year, Myer's share price was down to $0.75 on Friday. Myer insists that they will be sticking to their new strategy, but twice failing to reach market expectations this year has many commentators questioning their approach. Retailing is certainly a tough game right now. Cold Brew Coffee Takes Off - the rising star in summer drinks is cold brew coffee with reports from the US suggesting an 80% rise in sales. Cold brewing involves the use of cold water and produces a sweeter blend than traditional hot brew coffee. Iced coffee is a popular summer drink in Australia with one South Australian brand reported to outsell Coca Cola. 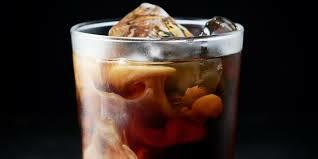 Some iced coffees are produced by cooling a hot brew coffee which is quite different to cold brew. Coffee producers love the cold brew because it uses much more coffee and opens up new markets in a traditionally quieter summer season. Back To Neighbourhood Stores - one of the most successful global cosmetics chains, Sephora, is experimenting with a more traditional bricks-n-mortar store in Brooklyn. The store is on a Main Street, not in a shopping centre, and it focuses on personal relationships with “advisers”. Being a smaller store, it doesn't try to stock the full Sephora range although they are available through an online facility. There are no cash registers, staff use mobile phones to transact sales, and there are special touches like “advisers” taking a photo of the customers face, linking with the products purchased, and then sent to the customer as a reference for future transactions. It is all about “experiential retail”, creating a personal buying experience that is only available in bricks-n-mortar stores. Identifying Unhappy Customers - one of the main complaints about larger department stores is that you can never find anyone to assist you and that can lead to anger and frustration. Well Walmart have an interesting solution - put on more staff? - no, Walmart are investigating the use of facial recognition technology that will alert staff to angry facial expressions and direct staff to respond. 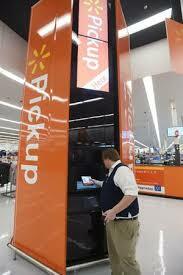 Instant Pickup- another recent innovation from Walmart is pickup towers which are conveniently located within the store. One of the main attractions appears to be that you can browse products online, and rather than wait for delivery, you simply go to the store, scan a barcode for your product at the tier and within 45 seconds your item is presented to you at the tower. No running around endless aisles looking for your purchase. Sort of like a robotic concierge and all part of the browse or buy online and pickup in store convenience. McDonalds Looks Outside Shopping Centres – according to the Sydney Morning Herald, McDonalds are looking to airports, railways, and highways for expansion rather than shopping centres. As shopping centres look to increase their food content from around 10% of stores to more than 30%, the competition within centres becomes more challenging. McDonalds said they were primarily focused on restaurants with drive throughs. 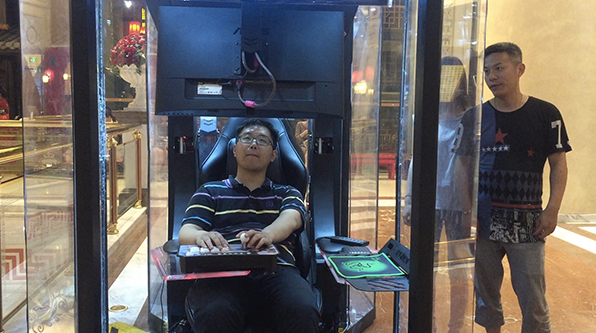 Husband Storage Pods - The Global Harbour Mall in Shanghai has introduced what it calls “Husband Storage Pods” designed to entertain husbands while their wives engage in the time consuming process of shopping. The pods are essentially a mini video games centre that include a chair, computer, monitor, and game controllers. We can see an application for these at QVM although keeping traders out may be a problem. Friday mornings have become a race to the car park for many traders with the prize being a cut price voucher reducing the standard all day parking fee from around $35 to a more manageable $12. 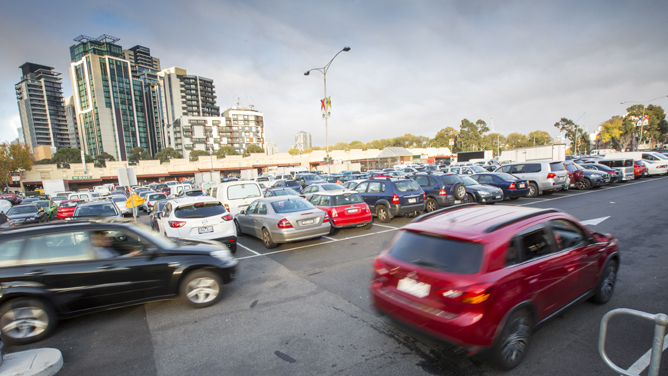 The recent closure of a nearby multi-level car park has tightened the competition with the allocated number of stall holder vouchers regularly running out before 7:30am. A simple process becomes an issue of frustration for traders, and of course car park attendants. Let's make the point that this is a shortage caused by an external car park closure, not increased demand by new traders or city "tradies". The car park is primarily for customers although traders who legitimately use their vehicles for the operation of their business need, and should expect, parking facilities. QVM needs to increase its allocation of vouchers for traders. This is simply a matter of adjusting to changed circumstances and allowing traders to get on with business without unnecessary frustration and expense. Traders have more important things to worry about. It is ironic that the retailer that decimated traditional book shops with its technology driven online model has recently opened its first bricks-n-mortar store in New York. Amazons new store looks like a book store with rows of book filled shelves although there are not as many books as you might have found in the previous generation of book sellers. “You can’t tell a book by its cover” is a famous saying but Amazon begs to differ and rather than just seeing rows of narrow spines, each book also shows its full cover to the shopper which takes up space. And there is an emphasis on “most read” books rather than trying to display every example of every book genre. Amazon have given over a significant amount of space to accessories like electronic readers, smart speakers and smart watches. There are books categorised as quick reads, and scanning stations where you can scan book barcodes to see what your members discount might be. 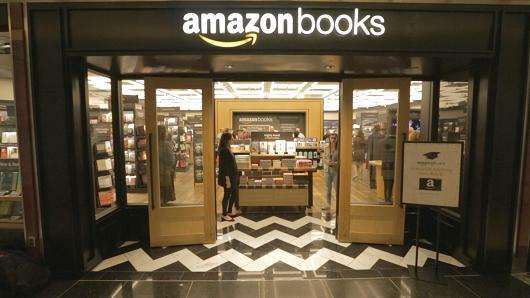 Which brings us to membership and a clear link in this book store to the Amazon Prime membership system that is at the core of Amazon’s retail play. This does look like a bookstore, with a few Amazon tweaks, and one can’t help but feel that the real winner is books themselves. After yet another significant technological shift in centuries of book publishing the humble book survives and sensations like "the feel of a good book" are still relevant. 1. Munro Footwear Group brings Williams, Mathers, Diana Ferrari and Colorado brands under their control. 2. Myer to sponsor Kate Perry tour. 3. H&M sees first half growth. 4. Saxx Underwear arrives in Australia as part of global expansion. 5. NZ outdoor apparel retailer, Icebreaker, opens first Australian store at Sydney Airport. 6. Harvey Norman opens another anchor store in Malaysia. 7. K-Mart continues expansion with 200th store. 8. Flight Centre improves performance, shares rise. 9. Suppliers show more confidence with Woolworths than Coles. 10. Cotton On opens first middle east inspired concept store in Dubai. 11. Versace profit suffers from expansion costs. 12. In home voice assistants tipped to be next retail disruptor. 13. Woolworths says it will not stock Cokes new “No Sugar” brand. 14. Haighs Chocolates opens 7th store in Melbourne and invests $10m in factory upgrade. 15. Amazon launches try then buy for prime members. 16. Coca-Cola loses major contract with Dominos Pizza chain. 17. Michael Hill “not confident” with its retail model in US. 18. Woolworths and Wesfarmers reach top 5 list of Asia Pacific retailers. 19. Swarovski says its watch range exceeding industry sales standards. 20. The group behind Tommy Hilfiger, Calvin Klein, and Pierre Cardin, takes 7.35% stake in Oroton. 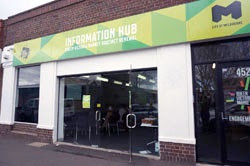 There are two Trader Information Sessions at the Engagement Hub on Queen St. this week. On Tuesday 18th July at 3:30pm interim CEO and Executive Chair, Paul Guerra, will make a presentation on the markets of Europe and answer questions about recent renewal and other company announcements. This is a great opportunity to to ask questions of the Chairman of the QVM Board. RSVP by clicking here or contacting your Category Manager. Click here to RSVP for this presentation or contact your Category Manager. Premier Daniel Andrews on removing heritage sheds 11/7/2017 - Mr Andrews said that "on latest advice, it may not be necessary for those sheds to be taken away", but that it was still possible they may have to be removed "to be taken back to their former glory". Lord Mayor Robert Doyle on Munro height restrictions – “The Lord Mayor said the 125-metre height limit would mean 50 units of affordable housing would be removed from the tower and built in another area of the precinct." 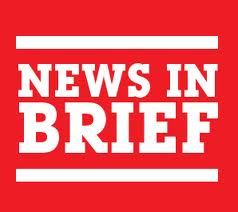 Breaking News - Renewal Go-Ahead. Would you like “crisp crust” with that coffee?